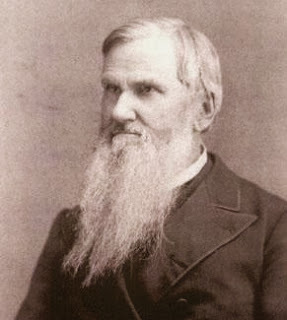 stylos: Even more from Dabney's "Spurious Religious Excitements"
Even more from Dabney's "Spurious Religious Excitements"
“In fact, spurious revivals we honestly regard as the chief bane of our Protestantism. We believe that they are the chief cause, under the prime source, original sin, which has deteriorated the average standing of holy living, principles, and morality, and the church discipline of our religion, until it has nearly lost its practical power over the public conscience. Striking the average of the whole nominal membership of the Protestant churches, the outside world does not credit us for any higher standard than we are in the habit of ascribing to the Synagogue and to American Popery. How far is the world wrong in its estimate? That denomination which shall sternly use its ecclesiastical authority, under Christ’s law, to inhibit these human methods and to compel teachers back to the scriptural and only real means, will earn the credit of being the defender of an endangered gospel” (p. 474). "O Light that Knew No Dawn"
More Dabney on "Spurious Religious Excitements"
Dabney on "Spurious Religious Excitements"